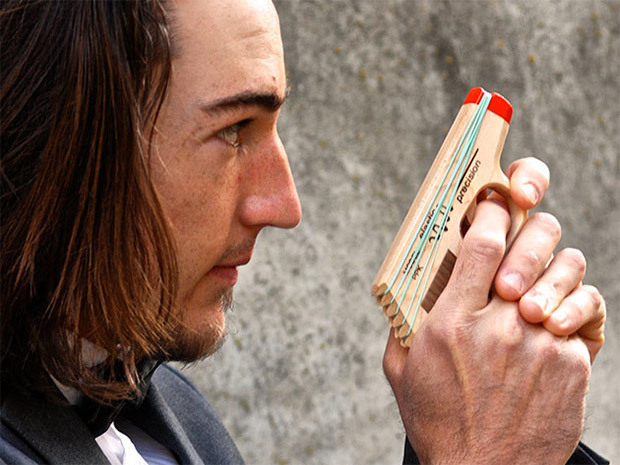 Elastic Precision’s handmade wooden plaything is modeled after James Bond’s gun of choice, the Walther PPK. 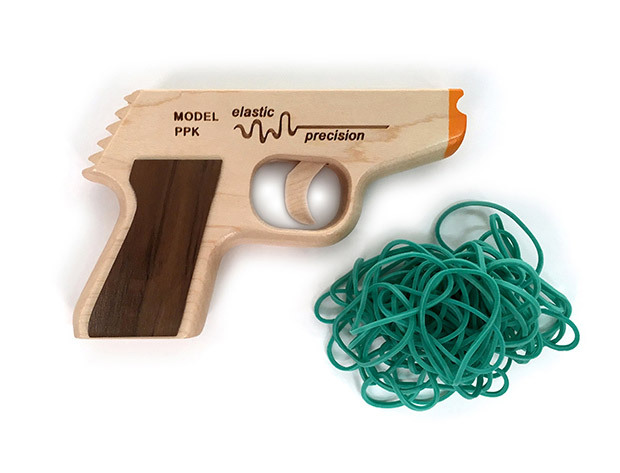 This one is made from solid maple and walnut, and can fire up to five rubber bands in a row. Includes 50 rubber bands. Save 20% in The Awesomer Shop.